FootJoy has launched the new VersaLuxe footwear category, which it calls “the embodiment of versatility’’ and loaded with high-end luxurious materials and details. 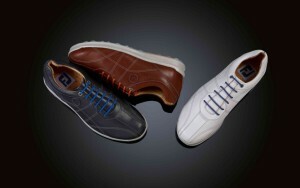 The company says Veraluxe shoes (suggested retail price $200 per pair) were designed to provide “luxurious comfort’’ on and off the golf course by utilizing golf’s finest leathers, stunning details and a fashionable, versatile spikeless outsole. From the rich, super-soft premium SuppleLuxe leather by Pittards of England and fine-grade stitching to the cork covered fit-bed and suede inner heel pocket, FootJoy says every detail has been “meticulously considered’’ in order to deliver a shoe that is the pinnacle of style, comfort and craftsmanship.